WWW, February 2009 - What happens when two of the Top UK DUB Producers join hands with a crucial vocalist and video maker? Exactly, that's what you wanna see. hard stepping, militant beat is one of Russ D's specialties. Together with his collective The Disciples, he's caused several earthquakes in dances all around the world. Just like Alpha and Omega, the Dynamic UK DUB Duo that chose the deepest bass as their trademark. In this video, they join hands in what has become a massive track, massive among the massive that is! 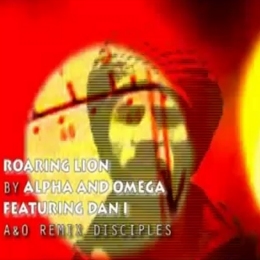 The accompanying vocal and video work is of the very same quality as the excellent track, altogether forming an experience that on one hand is way to long, but on the other hand also wants you to watch the other Alpha and Omega video's, reviewed by the Dubroom or not.